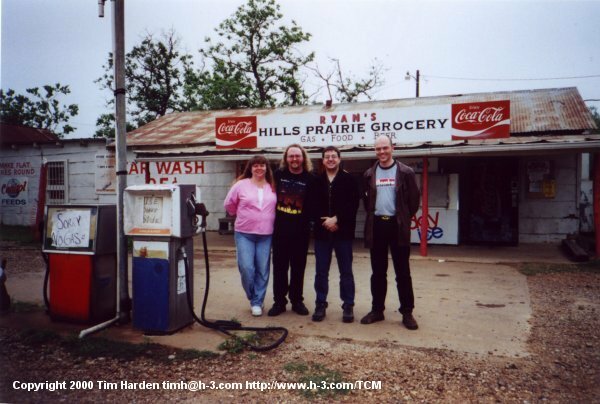 From left to right is my wife Cheri, me, David Greggory and Jake in front of what was the BBQ shack/gas station. I thought it was funny that the gas pump said, 'Sorry, No Gas'. Pretty ironic, huh?